Paul Maybery has led a diversified musical life over the past 50 years as a tubaist and also an arranger, conductor, musicologist and teacher. He recently retired from 30 years on the Artist Faculty at Macalaster College in St. Paul. During that time he was a first call freelance tubaist in the Minneapolis area and performed for many celebrity shows, circuses, rodeos and has been called to sub with the Minnesota Orchestra. One of his highlights was performing with the Mel Torme Orchestra and being featured soloist in the famous “Blues in the Night.” Paul’s arrangements have been performed by the President’s Own – United States Marine Band, The Dallas Wind Symphony, Keith Brion and His New Sousa Band, The United States Army Band and the Minnesota Orchestra, plus he has contributed scores for four Ken Burns PBS Documentaries. 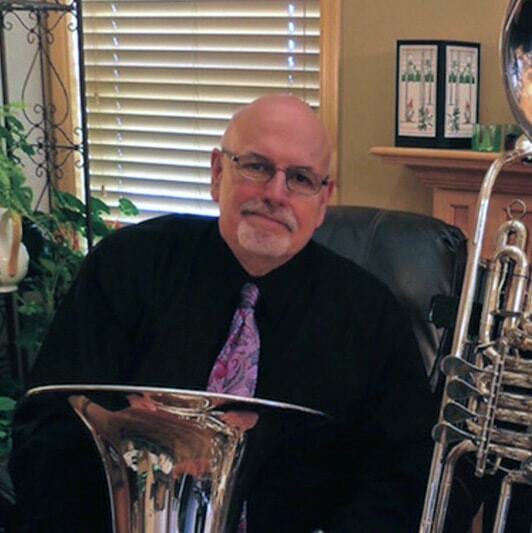 Since 1982 he has served as music director for the Great Western Rocky Mountain Brass Band in Silverton, Colorado and the Yankee Brass Band in New England. For 10 years he worked with the Salvation Army as Director of Music and Worship Arts for the Northern Division. More recently he returnnd to orchestra performance and became principal tuba with the St. Paul Civic Symphony and has also become an official endorsing “Artiste” for Wessex tubas. As of this year (2017) Paul is now a Gold Card carrying life member of the American Federation of Musicians. Paul plays the TC590 CC Tuba “Wyvern”, TF435 F Tuba “Berg”, and the CB90 F Cimbasso. “20 years ago, I dreamt of a place where a tubaist could purchase a variety of affordable instruments to cover the exacting needs & requirements we have in the orchestral field. We simply can’t get by anymore with just one commonplace Tuba. “Wessex has also addressed specific issues within the brass band ‘world’ around the Euphonium; creating the BBb ‘Excelsior’, Eb Tenor Horns, and array of baritones. “Not only this, but Wessex has also worked particularly closely with the factory constructing their instruments – continuously refining their craft to ensure each individual instrument is the finest imaginable. “Wessex goes beyond simply producing clones, to developing an entire line of original, professional instruments; something truly pioneering in spirit, and I wish them all the success in the world. Heaven really knows that we all need what they are producing!